Benjamin Netanyahu will also hold talks with US Secretary of State Mike Pompeo on the sidelines of the January 1 inauguration in Brasilia, an Israeli official told AFP. Benjamin Netanyahu is due to meet Bolsonaro on Friday afternoon in Rio de Janeiro. Prime Minister Benjamin Netanyahu was to head Thursday on the first trip by an Israeli premier to Brazil, where he will attend the inauguration of incoming president Jair Bolsonaro. Netanyahu will also hold talks with US Secretary of State Mike Pompeo on the sidelines of the January 1 inauguration in Brasilia, an Israeli official told AFP. Netanyahu is due to meet Bolsonaro on Friday afternoon in Rio de Janeiro, the official said on condition of anonymity. "This visit to the biggest country in Latin America will strengthen trade and economic ties between the two countries," Netanyahu's office said in a statement. He will also hold talks with the presidents of Chile and Honduras while there, among other officials, and meet with members of the Jewish community and a pro-Israel Christian group. He will fly back after the inauguration in the early hours of January 2, the official said. Bolsonaro has said he wants to follow in the footsteps of United States President Donald Trump and move his country's Israel embassy to Jerusalem. Netanyahu welcomed the announcement and called it "historic" -- though Bolsonaro later backtracked by saying "it hasn't been decided yet". Doing so would please his evangelical Christian support base, but would run the risk of provoking commercial retaliation from Arab states, some of which are major importers of Brazilian meat. Trump's move broke with decades of precedent that the status of the disputed city should be negotiated between the Israelis and Palestinians. Netanyahu's meeting with Pompeo is sure to include discussions on Syria following Trump's decision to withdraw the 2,000 US troops there. Israel is concerned that its main enemy Iran will have a freer hand in the neighbouring country following the withdrawal. Iran is supporting Syrian President Bashar al-Assad's regime in his country's civil war, and Netanyahu has pledged to stop Tehran from entrenching itself militarily next door. Netanyahu, who also serves as foreign minister, last year made the first trip by a sitting Israeli prime minister to Latin America, visiting Argentina, Colombia and Mexico. He has sought to expand Israel's diplomatic reach through technology and defence exports, and has worked to persuade more countries to vote in his country's favour at the United Nations, where it faces frequent criticism over its treatment of the Palestinians. 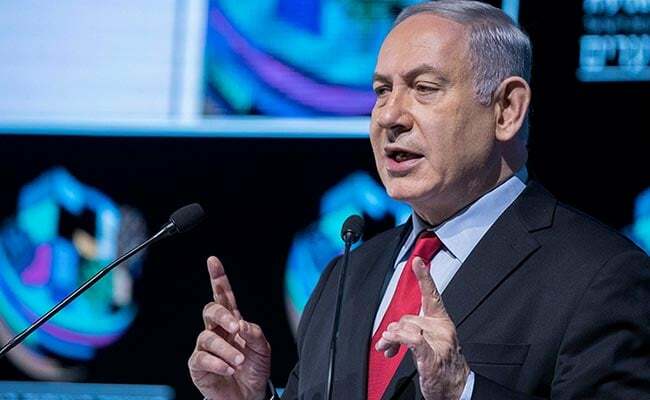 The Brazil trip comes at a sensitive time domestically for Netanyahu after Israel's parliament on Wednesday approved his government's decision to call early elections for April 9. He is looking to extend his long reign at the top of Israeli politics, but a slew of corruption investigations have cast a cloud over his future.